IBM MobileFirst for iOS Train Tickets expedites ticketing by providing reservation information, connections and schedule information to the attendant. 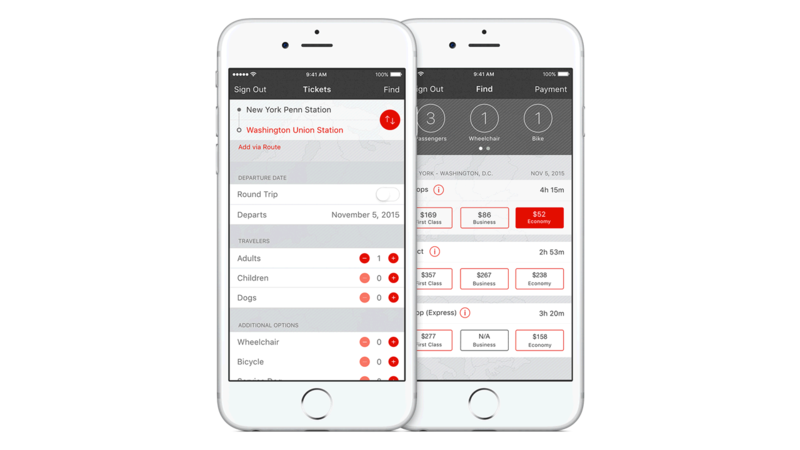 IBM MobileFirst for iOS Train Tickets expedites the ticketing process by providing reservation information, connections and schedule information to the attendant. Train Tickets gives attendants everything they need to efficiently validate and sell tickets. It gives them access to each passenger’s reservation and schedule information and it helps them quickly identify cross-sell opportunities, such as available seat upgrades. It improves capacity planning and scheduling by having travel data at the touch of a button. Attendants can more accurately manage train capacity while providing a better customer experience overall. Efficiently scan ticket barcodes with the built-in camera. Provide real-time, dynamic ticket pricing, based on location, destination, fare type and available inventory. Easily view accurate, relevant reservation and capacity data that streamlines the boarding process and increases on-time departures. Scan and store customer loyalty and discount cards. Offer helpful information about connecting trains, track delays and route changes. Offer printed or digital tickets and receipts via Messages, AirDrop and email.